Asia has the highest number of smartphone and bitcoin users, which offers a great opportunity for blockchain-based solutions. Arai Ezzra is the founder of DinarDirham, a global fintech company from Southeast Asia, with offices in Hong Kong, Kuala Lumpur and soon in Dubai. It provides online and physical gold, forex and metal investment solutions. At the upcoming iFX EXPO Asia 2017 Ezzra will be taking part in a panel discussing the Asian financial market ecosystem, which will discuss the hottest assets and trends that are attracting Asian investors and entrepreneurs. To learn more about blockchain’s potential in disrupting the gold trading markets of Asia, register now to the iFX EXPO in Hong Kong. 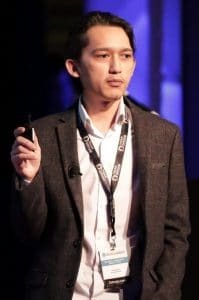 In order to learn about blockchain technology, the gold trading markets of Asia and to gain a glimpse into the type of discussion that the iFX EXPO Asia 2017 offers, we asked Arai Ezzra about his area of expertise. How did you first get involved in the blockchain industry and what makes the technology so promising in your eyes? I first got into blockchain in 2013. It was still new back then, and nobody was developing systems using blockchain. However, I myself had been involved in the financial industry since 2009 as an MT4 system developer for a number of regulated brokers in Asia. I applied my experience of creating products and solutions for several problems in the financial industry by using blockchain technology, especially for those related to trading system and tools. Blockchain has the potential to substitute the conventional database system that has been used up until now. It is a revolution in the financial industry. The emergence of the blockchain is just like the internet. When the internet was initially introduced in the 1990s, people responded negatively. Back then, most of them couldn’t accept the internet. But now, people cannot live without the internet. In our case, the blockchain is a phenomenon which is bigger than the internet. The internet is all about information, while blockchain is about assets and assets are what really make the world evolve. The blockchain is a tamper-proof, distributed electronic ledger that exists across a decentralized network. How is bitcoin being adopted in Southeast Asia? A big part of this change in Southeast Asia regarding Bitcoin comes from the way mobile devices have altered the landscape, changing the way we hold assets, make transfers and payments. Uncertainty regarding fiat value and other assets like physical gold give the option for Southeast Asians to keep some of their wealth in bitcoin and other blockchain based assets. What can you tell us about the blockchain start-up ecosystem in Southeast Asia? There is currently much support and involvement from the private sector, banks, financial institutions and the government of Singapore regarding blockchain technology. There are also a number of blockchain-based start-up companies which were built to disrupt some established companies. Some of them are Coins.ph, Attores, Otonomos and Digix which are among the main players in the blockchain industry of Southeast Asia. The Southeast Asian region has among the highest number of smartphone and bitcoin users, which offers a great opportunity for parties to produce blockchain-based solutions. 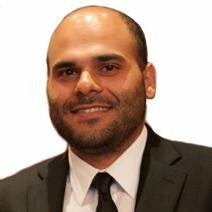 What is the current situation and use cases for blockchain in the physical gold industry? Gold storage and investment are popular in Southeast Asia. People especially from China, India and Indonesia really love to own and invest in gold. They have bought physical gold in the conventional way. In the year 2000 several alternative instruments for physical gold trading and investments were introduced. They included the digital gold paper contract, ETF and gold savings accounts at the banks. The only limitation with conventional digital gold storage is that the owner is not able to use his gold to make payments (micropayment). Digital gold could not be readily transferred into other forms of asset. However, with blockchain technology, the gold storage system and process can be enhanced and owners will be able to simply transfer their gold to other parties or use it to make payments. What is the future of physical gold trading? How can it be simplified using blockchain technology? Blockchain is a powerful data structure that promises to revolutionize the way people conduct business around the world, and disrupt how financial transactions take place. One small example of this claim is the ability of the blockchain to allow people to buy, sell and trade gold. In many cases, people do not have access to gold exchanges via other venues. Whether it is via coloured coins, smart contracts or the exchange of cryptocurrency for gold, it has never been easier to trade gold in such a secure and frictionless manner. What is your prediction for blockchain in Asia in 2017? 2017 is the year of blockchain technology implementation. There will be an increasing number of start-up companies that utilise blockchain technology especially in Southeast Asia where smartphones are more common than banks. Smartphone users in Southeast Asia number over 280 million – this is bigger than the number of users in the USA. Therefore, SEA has the potential to develop along with the rest of the world, which is mostly shifting from fiat to digital. Held on February 21-23 at the Hong Kong Convention & Exhibition Centre, iFX EXPO Asia 2017 will be an amazing networking and learning experience, with over 80 exhibitors and 2,500 attendees. Panels will cover topics such as FX in China, regulations, technology, marketing, commodities trading in Asia, and of course our signature CEO roundtable. This year’s agenda is tailored to the needs of the region’s many industry participants, as well as of international brands seeking a deeper, firsthand understanding of the Asian market. Attended by leading global leaders of the biggest trading firms, the extensive event promises to fill you in on the latest regional developments in the Asia Pacific market. To see all the panel speakers click here.